Dejanay Stanton was fatally shot on Aug. 30 and Ciara Minaj Carter Frazier was fatally stabbed on Oct. 3, the Chicago Sun-Times reported. 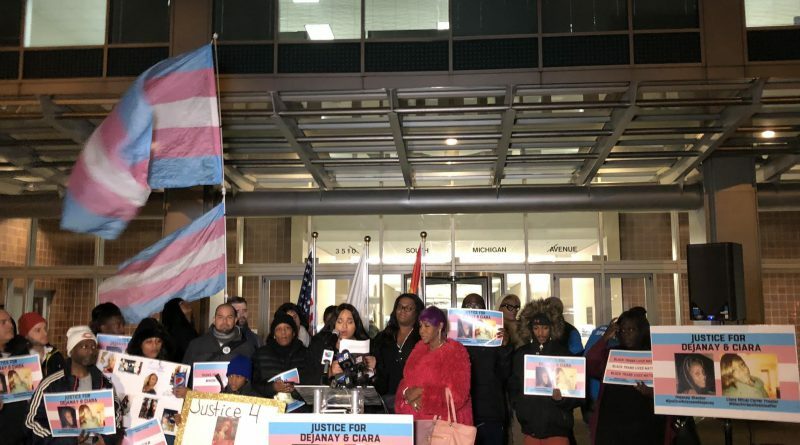 Community activists organized a rally on Oct. 25, demanding that the city hold the perpetrators accountable for the murders. People attending the rally said the memo’s content was unsurprising from the Trump administration. Tri-Taylor resident Ty Cratic, 33, said Trump’s actions were an effort to erase transgender lives. He emphasized the importance of voting to protect transgender rights. Neither the White House nor the Chicago police responded to requests for comment. Ortiz said the struggles of transgender people have helped lay the groundwork for recent gains in LGBTQ rights. Given the current context, she said, they need to keep fighting.